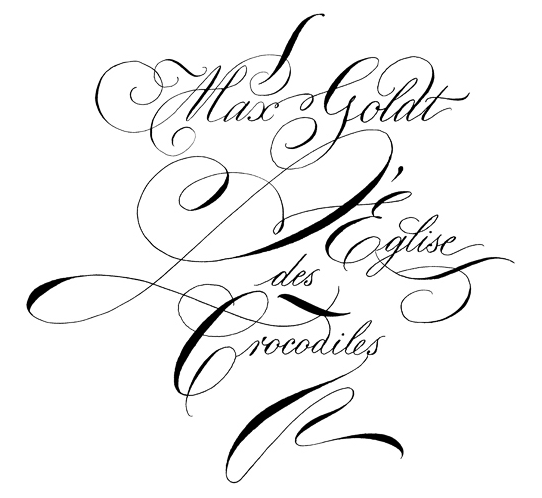 Using Pelikan 4001 Brilliant Black fountain pen ink and a Soennecken 70# writing pad, we see graphic designer/calligrapher Frank Ortmann skillfully render some fine-looking letters for the cover artwork of Max Goldt, L'Eglise des Crocodiles in 2011. First we look over his shoulder to see him pencil in some slanted guidelines for the letterforms with the use of a simple handmade guide. After he carefully pencils in each letter of his layout, he selects an antique extra fine pen nib used for copperplate writing and inks in his letters while applying various degrees of pressure to control the thickness of each stroke. 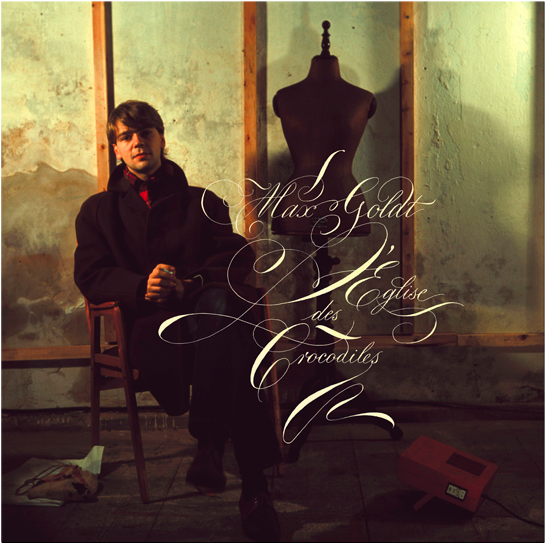 Lastly he scans the image and does the final edit in Photoshop to create the lovely work of lettering seen on the album cover. The music by the Zonnhaider's Club isn't bad either. You can read a nice interview of Ortmann talking about his work over at Calligraphy. And if you are really interested to learn more about calligraphy of all kinds, be sure to drop in to iampeth where you can find endless examples of rare penmanship books to peruse. It is a gold mine of hand lettering riches. I could watch that all day--beautiful! Thanks for sharing.